But It’s Not 2012 Yet! From space, Irene is beautiful. And she’s huge, more than 500 miles in diameter, a third of the entire length of the US Atlantic coastline. NASA / NOAA GOES-13 satellite image showing earth on August 26, 2011 at 14:45 UTC (10:45 a.m. EDT). Hurricane Irene can been seen on the U.S. East Coast. and her relentless progress headed, each day more and more clearly, straight for us! And now she’s almost here. 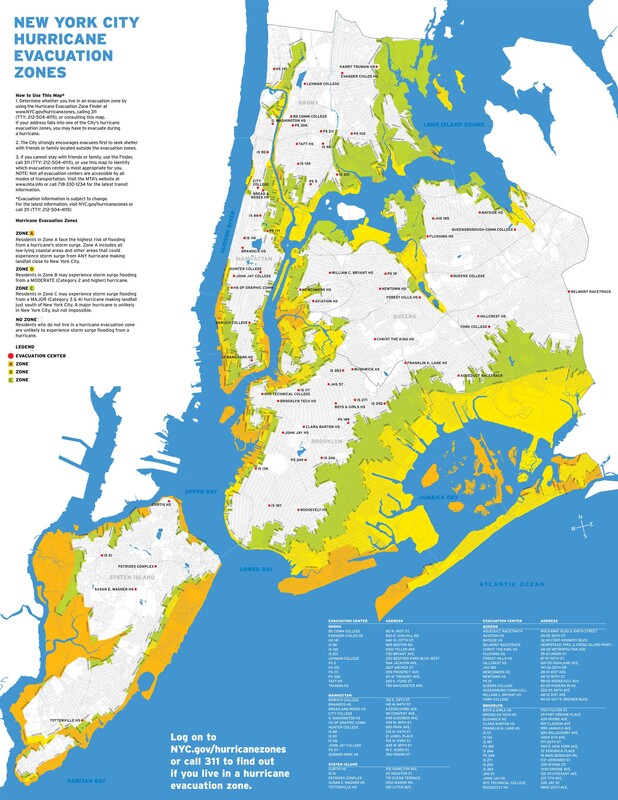 It’s been disturbing to discover how much of New York City is low-lying and potentially subject to catastrophic flooding. [t]he Statue of Liberty is not vulnerable to a storm surge, since the good lady stands atop a 65-foot high foundation and 89-foot high granite pedestal. However, the 305′ height of the lady’s torch above the foundation means the statue will experience winds a full Saffir-Simpson category higher than winds at the surface. The statue is rated to survive a wind load of 58 psf, which is roughly equivalent to 120 mph winds (Category 3 hurricane). However, a mid-strength Category 2 hurricane with 105 mph winds will be able to generate 120 mph winds at a height of 300 feet, and would theoretically be capable of toppling the Statue of Liberty. Winds from Irene should stay below 80 mph at 300 feet, and not pose a threat to the Statue of Liberty. The next day could be interesting! This entry was posted in Nature, New York City and tagged Flood, Hurricane, Hurricane Irene, Natural Disaster, New York City, Satellite Images, Storm Prediction. Bookmark the permalink.